The Gosnold family, who built tranquil Otley Hall at Otley, boasted high-flying connections in the Tudor period. 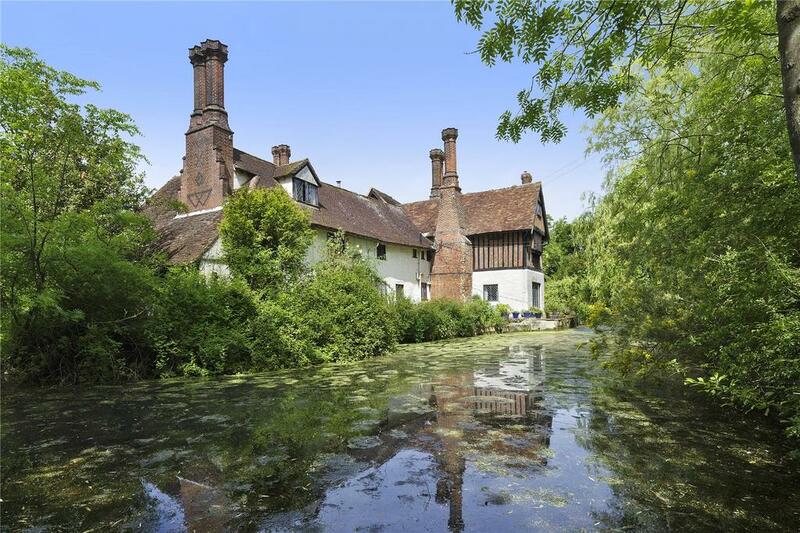 One of the loveliest Elizabethan houses in Suffolk is up for sale: Otley Hall, a magnificent, moated property that is one of few Grade I-listed houses in Suffolk still in private ownership. 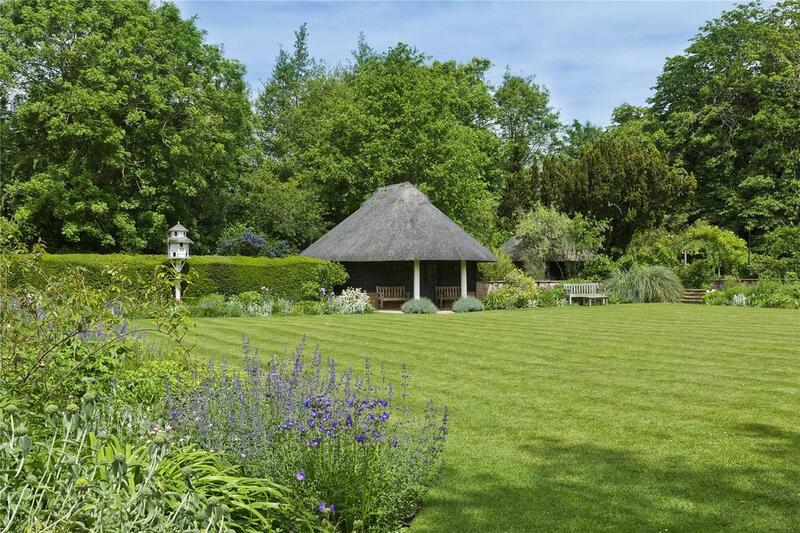 It’s on the market via Savills with an asking price of £2.5 million. The manor was built by Robert Gosnold and other members of the Gosnold family in the 15th and 16th centuries, with alterations and additions carried out by subsequent owners in the 17th, 18th and 19th centuries. The Gosnolds had owned or been tenants of land in the area since 1401 and were living in Otley, where Robert was lord of the manor, from about 1440, although much of the hall as its stands today dates from the 16th century. 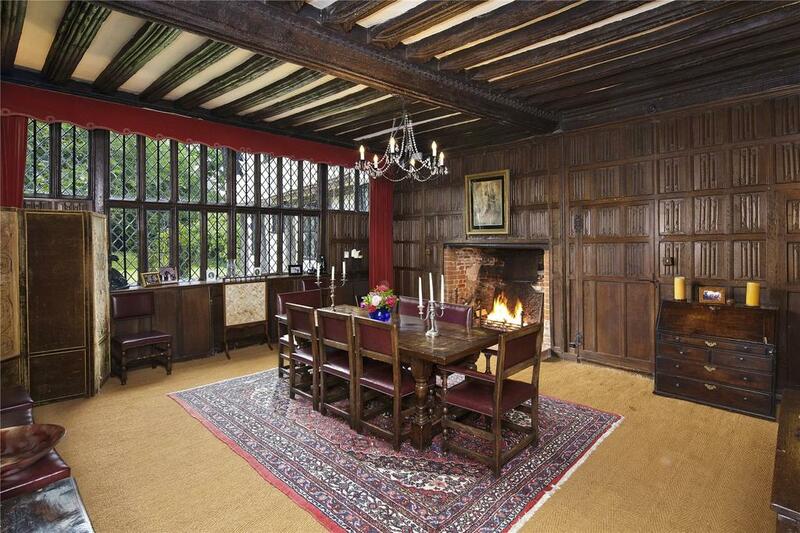 Notable rooms include the timber-framed Great Hall and the Linenfold Parlour, pictured below, whose splendid panelling is believed to have been stripped from Cardinal Wolsey’s chambers at Hampton Court Palace. The Gosnolds were lawyers with links to the great, the good and the unlucky of the Tudor era – among them, Cardinal Wolsey, the ill-fated Earls of Essex and Southampton, the playwright 17th Earl of Oxford (a Gosnold cousin) and Francis Bacon. Robert Gosnold III was Master of Requests to the Earl of Essex from 1599 to 1601 and the Royalist Col Robert Gosnold VI fought through three sieges during the Civil War. Much has been made in guidebooks and local folklore of the role played in the founding of the first British settlement at Jamestown in what is now the USA by Robert Gosnold’s nephew, Bartholomew Gosnold, who lived at nearby Grundisburgh Hall. An introduction from his uncle secured a place for the young Bartholomew aboard the Earl of Essex’s expedition to the Azores in 1597. He then joined Essex in privateering against the Spanish, thereby amassing a tidy fortune in a very short space of time. Irretrievably bitten by the exploration bug, in 1602, Bartholomew set out on a voyage to the New World, in the course of which he named Cape Cod and Martha’s Vineyard—the latter after his first-born daughter, who had died as an infant in 1598—but failed to establish a settlement. On returning to England, he immediately set out to organise a second expedition, the planning and recruitment for which is said to have taken place in the Great Hall at Otley. In 1606, he set sail again and, in 1607, was reputedly the prime mover in establishing the settlement at Jamestown, Virginia, where he died of a fever later that year, at the age of 36. Broken by the Civil War, the Gosnolds eventually sold the manor in 1674. Commenting on Gosnold’s Otley Hall connection in his masterful England’s Thou-sand Best Houses, Simon Jenkins dismisses the notion that the USA was, in effect, ‘founded’ at Otley as ‘fanciful’. 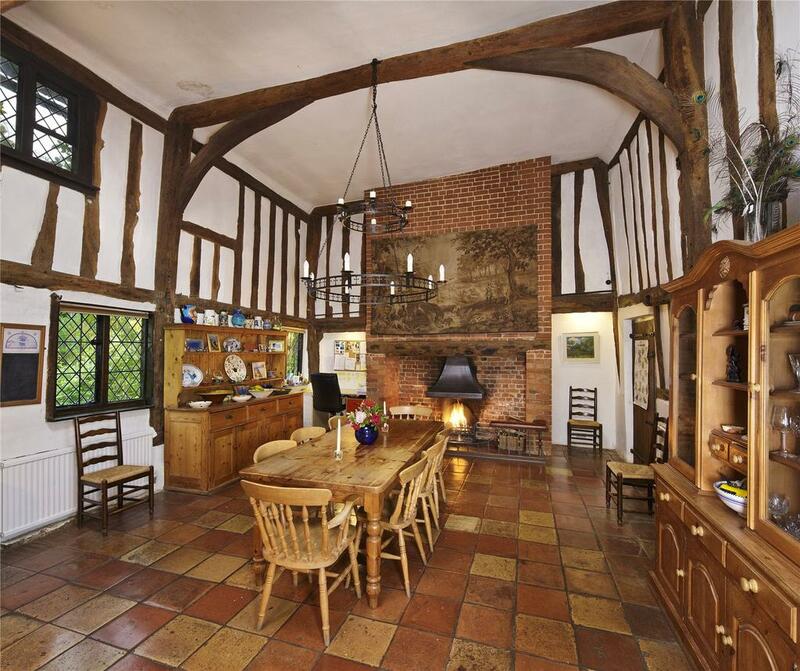 Instead, he suggests, ‘we should be content with a superb example of 16th century Suffolk architecture… an immaculate Tudor house with no edge untrimmed and no dust on any shelf (and where) a cobweb would be an arachnoid impertinence’.  That was in the early 2000s, when the hall was owned by the writer and philosopher Nicholas Hagger, who carried out significant renovations over the years. Let to tenant farmers during the 18th and 19th centuries, Otley Hall had been comprehensively restored in the early 20th century by the Edwardian architect Percy Morley Horder for Dorothy Sherston, who bought the manor in 1910 and also commissioned Francis Inigo Thomas to design a formal garden. 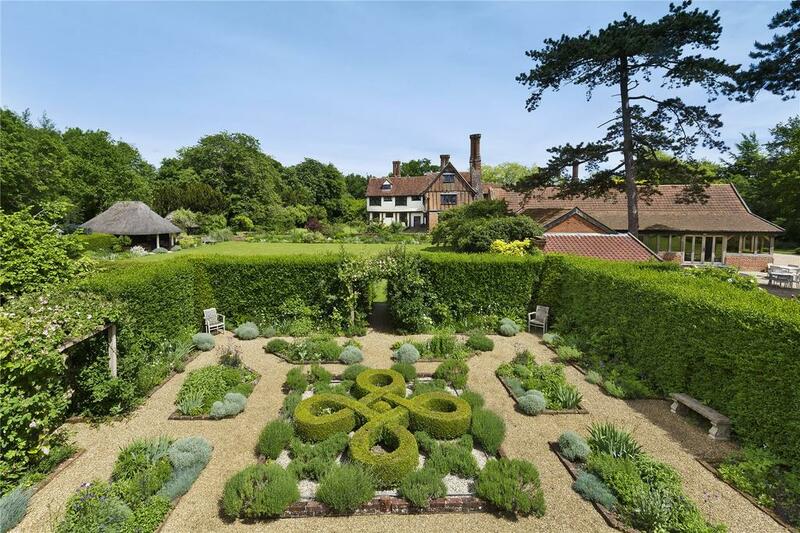 During their tenure at the Hall from 1997 to 2004, Mr Hagger and his wife, Ann, also greatly improved the gardens, which are both formal and informal and provide a wonderful setting for the house. Their successors, the present owners of Otley Hall, have not only improved the house and its 9½ acres of gardens and grounds, but have also expanded the existing conference and hospitality centre into a unique venue for corporate events, weddings and retreat days – a small but profitable business that can be continued or not as a new purchaser wishes, the agents say. Timber-framed with brick infill and some colour-wash render under a tiled roof, Otley Hall, described by Pevsner as an ‘outstanding individual house – charming and picturesque’, provides 8,260sq ft of living space on three floors, including three grand reception rooms, a reception hall, a moat room, a study, a minstrels’ gallery, a kitchen wing, 10 bedrooms, six bathrooms, and an integral staff flat. 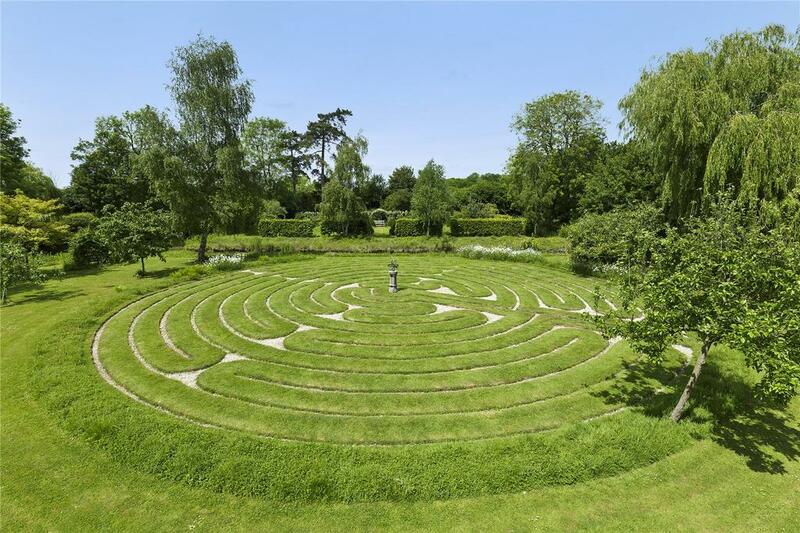 Fancy your own Wolf Hall? 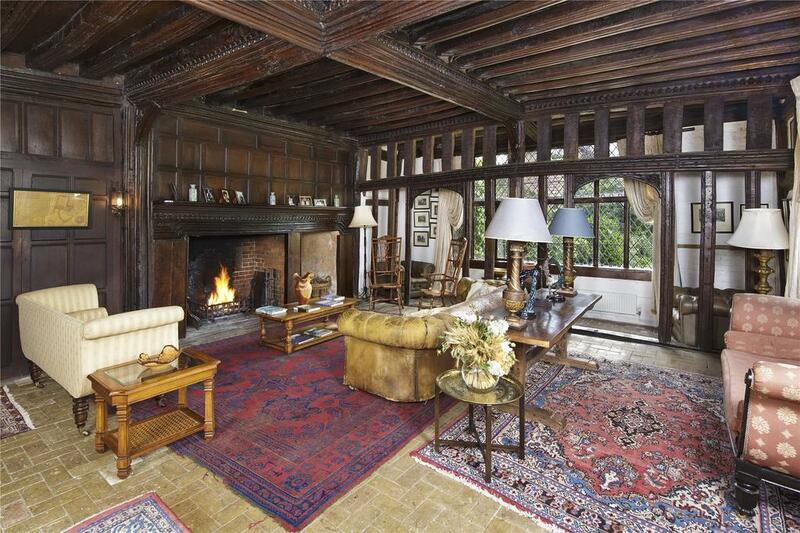 These properties boast superb Tudor features, fit for a king. The stylish renovation of Bilting Court has combined Tudor charm with all the comforts of 21st century living.